I was curious to see whether the best selling Italian coffee at the top of my previous best selling Italian coffee list was still selling well. You can find answer below in the best selling Italian coffee top ten list which has been updated for 2017. As from 2017, there are now two lists: one for ground Italian coffee and the other for Italian coffee beans. Note that to get into to best selling Italian coffee Top Ten, the coffee concerned has to be made by an Italian coffee roaster in Italy. No non-Italian fakes permitted. Sorry, Starbucks. Why not start your day the Italian Espresso way? I do. Lavazza ground coffee remains popular but Illy coffee makes a good showing too. Some Italians swear by Illy coffee, so if you haven’t tried it, do so. Even better, try some Lavazza and some Illy ground coffee to see which you prefer. In the coffee bean category, Lavazza does very well taking all the top spots even if Illy Caffe’s Normale whole bean coffee are in 2nd place overall. Lavazza Super Crema Espresso – Whole Bean Coffee, 2.2-Pound Bag – also the number one best selling coffee beans in the USA in June 2017. Note: Please don’t get beans confused with ground coffee. To use coffee beans you’ll need a coffee grinding machine or have a espresso machine which can grind them. – lots of positive reviews on Amazon too. If you’ve got a Nespresso machine, you can also try Borbone coffee: Caffe Borbone Espresso – Respresso – Superior Quality – 100% Italian Roasted – Miscela Blu are excellent. I recommend these and drink them myself – they make a great tasting shot of espresso. I got to know about them thanks to an Italian friend. Thanks, Roberto! And here’s another Borbone blend for you to try: Amazon Exclusive: Caffe Borbone BLACK Espresso Pods – Lavazza and illy Compatible – Miscela Black. Back in April 2011, sitting at the top of the top ten best selling Italian coffee list was Lavazza’s Super Crema Espresso Whole Bean Coffee, well, it’s been ousted from the top spot by another Lavazza coffee – Lavazza’s Crema e Gusto, which is a personal favorite of mine! I recommended Lavazza’s Crema e Gusto blend to someone who got in touch with me via Twitter and he was very happy with it. In July 2015, the top spot goes to Lavazza Super Crema Espresso Whole Bean Coffee. Back in In July 2014, Lavazza’s Crema e Gusto was the number 1 best seller in Amazon.com’s ground coffee category which is now Coffee Beverages. I particularly like Lavazza’s Crema e Gusto coffee because it tastes like the espresso coffee I drink in Milan coffee bars – it’s got an authentic Italian coffee taste. By the way, I live in Italy and I love Italian coffee too. If you want to try Lavazza’s Crema e Gusto coffee, you don’t need to buy four packs of it. Amazon.com sells a single 8.8 ounce brick – so trying this great tasting Italian coffee is even easier than ever. Just think about it, you can make a cappuccino which tastes like those cappuccinos you had on your summer vacation in Rome, Florence or Venice. 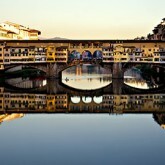 Happy memories of Italy will come flooding your way! And a shot of espresso is a great way to wake yourself up in the morning. The numbers in brackets show the coffee in questions position in the original coffee Top Ten list. “Like I was back in Tuscany, but also makes great American coffee“, commented Jack Huesman, an Amazon Top 1000 reviewer. – has slipped on place in 2015. – not ranked in 2015. Lavazza is still doing really well in the coffee top ten and continues to do so in 2014. The only other challenger is Illy – whose Caffe Scura coffee has knocked Lavazza’s Lavazza Qualita Oro Whole Bean Coffee off its sixth place. The best selling Italian coffee top ten will be updated! 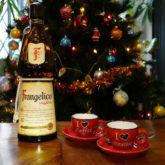 PS Try this Espresso Cups for Christmas post for some interesting Italian coffee cups which, along with some authentic Italian coffee, would make an great Christmas gift. You might like a expresso espresso coffee maker too. A cup of good Italian coffee is a great way to start your day! Nowadays, coffee machines which take coffee pods can whip up a great espresso in a few moments – perfect for anyone with a busy lifestyle. Any thoughts on Miscela d’Oro? I recently tried it in a few different restaurants…a couple in NYC and also in Phoenix. I actually really liked it but am wondering if you have tried it? I have tried it, Mia, but, personally, I prefer Crema e Gusto because it’s closer to the coffee I get in Italian coffee bars. But if you like it, great! I like Segafredo and Lavazza i live in Spain and i usually buy Marcilla which is a decent coffee. Good to hear Segafredo and Lavazza are available in Spain. I didn’t know of Marcilla coffee – a Spanish brand now owned by a Dutch company. Don’t think it is sold in Italy probably because of the massive competition from Italy’s own coffee roasters. I have used Lavazza for about 12 years. I have had to change to different models twice. It is rich expresso with no bitterness…..love it. Now, I am having to change again from the Lavazza Bar to (expresso ground brick) to either Lavazza in blu expresso grind, or Lavazza caffe expresso fine ground, both in cans. So I came to your site searching for another brand. I do not like either one as I enjoyed Lavazza Bar. Do you have a suggestion? My supplier says they are discontinuing the Lavazza Bar. I tend to prefer Crema e Gusto to Oro, so I think it is better. I’d say it’s worth your while trying it. If you do, and have a spare moment, pop back and tell me what you thought of it. It tends to work very well in Bialetti mokka cooker top coffee makers. Thank you for this post!!! For years i’ve used Cafe Bustelo in my Bialetti Brikka coffee maker and it’s quite good. BUT, now I’m in Canada where they don’t sell it and I bought another Italian brand that wasn’t good. I found your post and they sell the Lavazza Crema e gusto. OH MY GOD. I haven’t been to Italy yet but the flavor is just like Cafe Creme in France. I’m in heaven. Grazie mille!!!!!!! Lavazza Crema e Gusto is, as you’ve found out, well worth trying. It tends to work very well in stove top coffee makers. Not always as good as an Italian coffee bar coffee, but very similar and sometimes even better! How is italy’s single espresso different from US or elsewhere? What are the flavors in italys espresso? Is it creamy and chocolaty? I would love to try. I did try a single shot espresso in the US – in New York – but it didn’t compare to what I get here in Italy. It was too watery and not as flavorful in my opinion. I’ve no idea what coffee blend was used either but it just wasn’t the same. A good Italian espresso has a creamy head on it and is not watery. I’ve also tried so-called espressos in the UK. Far too much water and they were not up to much either even though the coffee machine looked Italian. Italians just seem to have a knack of making good expresso and Italian blends of coffee also make a big difference too. There are special schools for barrista here but I guess most of those who work in bars here in Italy are taught by others. The best way to try a real Italian expresso is to come to Italy and to pop into more or less any bar – there’s no shortage of them! My espresso is exceptional and very much like what I drank in France. I’ve never had anything in any US coffee shop that tastes as good as mine, in my opinion, especially now that Alex’s post alerted me to Lavazza. I use the Bialetti Brikka 2 cup stove top coffee maker. It has a pressured valve which is unique to stove top makers. It makes the foamy crema, which tends to be the key to a wonderful shot. The cost of the Brikka is $65 or so. I bought the Lavazza Crema e gusto and it is superb. Absolutely tastes like I am in Europe. My 2 cents. As you can see I am quite passionate about my coffee. Cheers. Espresso for me is a passion, not only addiction. My day always feels something missing without it, and living in a country where the traditional coffee such as Turkish and Bosnian sometimes put me in difficult positions. I am not a Starbucks person and I can never understand the logic of adding too much water on pure espresso, as one Italian friend of mine said, what the Americans drink in that big cartoon cup reminds me of a soup. Coffee is something we drink for joy for so many centuries, it shouldn’t be reduced simply to the need of caffeine. The origin of the word ‘coffee’ comes from the Arabic word ‘qayf’ which means joy, let’s not forget this, I know I am aware of the differences when it comes to personal taste, but I speak for general. When it comes to espresso brand, I never judge them by their price or how famous they are in the market. Lavazza has a very good advertising and that is what makes them so successful. Illy has a very strong and tasteful taste which Lavazza can never quite reach even with their %100 Arabica Qualita Oro, but as Alex said this is personal. Recently when I was on a hunt to discover a good espresso I came across San Giusto. Apparently San Giusto is also from Trieste, the Illy Town as I call it. When I drank San Giusto for a moment I lost myself, it was everything I searched for. It had the taste of Illy, but it wasn’t as tough as it is, it had a bit softer taste which made me go for double. Another thing when it comes to a good espresso is how well Barista does his or her job. Because when the machine and coffee spoon is not cleaned well, it will for sure taste stale even if you put there the best espresso of your choice :). I know I wrote a very long comment, but could you guys suggest me an espresso machine, I hate capsules, but I also don’t want to go so expensive. Something in between 100 to 150 euros, any suggestions? What do you think about QUARTA caffe? is it a good coffee? Have never heard of it Alessio. The company has been around for 60 years so it’s coffee must be OK. If I can find some here in Milan, I’ll try it and test it on various Italians I know too to find out their opinions. Hi, I’m really curious about Lavazza crema gusto. It’s creaminess sounds interesting. Is italian coffee generally espresso-like & bitter? Can I make Lavazza Crema Gusto with regular drip coffee machine at home? Also, you (&others) mentioned that Lavazza & Illy have different tastes & that it depends on personal taste. Well, I love full bodied coffee with a moderate sweet/cocoa/nutty after taste. I really dislike Sour and citrusy coffees. So I guess acidity is what I hate in my coffee. body & creaminess is a plus. Btw, for an unknown reason, some coffee brands (like molinari espressos) specially if made in the cafe gives me anxiety and a weird feeling in stomach. So…do you think I should get Illy or Lavazza crema gusto? (Btw, I usually drink my coffee plain). Yes, Italian coffee can be very bitter which is why sugar is often added (even if the best Italian blends should not require sugar, or so I’ve been told). In cup Quantities are tiny – like a shot of whiskey – Italians don’t drink mugfuls of coffee. Or you can make cappuccinos – with the right coffee machine. To make Lavazza Crema e Gusto, you should use either a moka expresso maker or an espresso machine (which might be what you mean) Don’t think filter coffee makers will work too well, but have never tried. Yes, Lavazza and Illy do have different flavours – I like both but prefer Lavazza. Best thing to do is to try both. If Italian coffee is made very strong, it can cause stomach pains – some strong blends of coffee will do this too. I’ve never had problems with Lavazza Crema e Gusto. As mentioned before, you need to try both to decide. You might prefer Illy to Lavazza – but you won’t know until you try them! Cafe Aiello is amazing. It’s hard to find in the states. It is very popular in Southern Italy. I have to order it online. I think it’s a good mix of the quality of Lavazza and Illy. There’s lots of interesting coffee in Italy, Dominic but it can be hard to find online. Nespresso pods with non Nespresso coffee are quite common here too. But the brands with the greatest marketing might remain, for now, Lavazza and Illy. I’ll keep an eye out for Cafe Aiello but it may not be so easy to find up here in the north where I live. Thanks for the coffee tip. Oh yes! We love the Espresso bar cremosa. It adds a little extra froth at the first sip! In southern Italy, Naples – Monte di Procida to be exact we use Kimbo. I’m afraid that Illy coffee does not hold a candle to the whole bean that Kimbo offers. I’m surprised it’s not on the list. Lavazza is almost a joke in our Italian family. I’m surprised to see it so popular among the list. However, as my husband owns an Italian restaurant we do use the lavazza pods for Espresso and reserve stove-top Kimbo for special guest (mostly Italian people) and whole bean ground for at home. I must say, I’ve never tried the whole bean Lavazza and you have perked my interest to try it! Thanks so much! 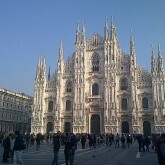 I just got back from a conference in Napoli. Asked everybody including concierge & restaurant personnel what they use for the best at home & they all said Kimbo Gold. Brought some home, of course! When I was on Capri had a great cup at the café on the main square & the waiter said they all use bulk beans from the same supplier but I wasn’t familiar with the name. Viva Italia! 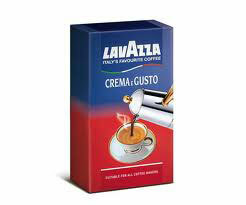 We discovered Lavazza Crema e Gusto in New Zealand several years ago, preparing it in a Bialetti stovetop coffeemaker. We bought it home to California and it did not taste the same (as good). Since we serve ours with a good amount of cream (cafe creme ?) we think it is the quality of cream available in NZ and/or the (tap) water which is also far superior in NZ. From my own experience, the combination of Lavazza Crema e Gusto and a Bialetti stovetop maker does produce pretty good coffee – but I am in Italy and use Italian water – which in the north tends to be lime rich. I wonder whether the water makes a difference. While not the cheapest way of making an espresso, you could try finding and using an Italian bottled water brand and see if that makes a difference. The ‘crema’, by the way, refers to the froth on top of the coffee (which cannot easily be obtained with a stovetop maker) – Italians rarely, if ever, add cream to their coffee – though may occasionally have a coffee with canned whipped cream squirted on top. Nowadays, many Italians are using capsule fed coffee makers which can be bought for fairly reasonable sums and refillable capsules can be found too. I hear lots of good things about (non-Italian) Nespresso makers – so you might like to invest in one or find a friend who has one and see what you think of the coffee it makes before spending any money. For a really good cup of espresso, you need something similar to the kinds of coffee machines found on Italian bars but these are very expensive. Gaggia coffee machines, I am told, are good if a little pricey. One again, though, see if you can try before you buy – if, that is, you want to buy. We have a Nespresso Pixie capsule machine that we are very pleased with. We live in a condominium with little kitchen counter space so a full sized expresso machine is not an option. Unfortunately, as far as I know, there are no refillable capsules for this machine and the price for them has ratcheted up by about 20% since we purchased it about 3 years ago. We use the stovetop (Bialetti) about once or twice a week for variety. Quite a few others are available too, including some rather expensive stainless steel capsules. PS I’m an Amazon.com affiliate so if you purchase capsules using the link, I may make a little coffee money. My son was recently in Rome and brought me back a can of Illy Filter Coffee- Gusto Morbido , to try. Well, I was very pleased with it because this has been the first time I was able to drink coffee without the acid “kickback”. I tried many different coffees but noticed that if they had any hint of acid in them, i would get symptoms- but not with this coffee. The problem lies with the fact that I do not know where in the USA I can get this coffee. I called Illy and they said that particular coffee is not sold here. Is there any way I can find a distributor that would be able to get me this coffee? What about filicori zecchini? Have never heard of it. Tell us more, Milad. Thanks Alex for the useful information, for sure the italian coffee is definitely one of my favorite. I’d like to recommend you if you don’t mind my website where I write about italian coffee machines, coffee pots and so on although I must tell you is in spanish I really did my research there;) If you have the chance would be awesome if somehow you could link to my article. Take care! When buying coffee one must consider that arabica beans costs much more than robusta beans. 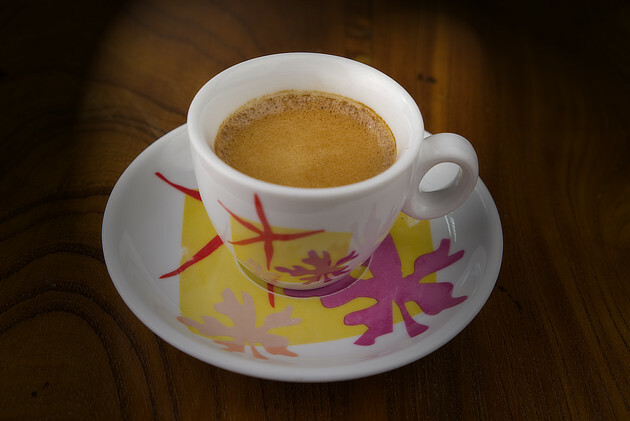 The crema e gusto ranked 1st here is an arabica/robusta mix with an high content of robusta. Thus crema e gusto is less valuable than the qualita oro and Illy which are 100% arabica. In general arabica is more aromatic has a fruit-like acidity and is not bitter, the robusta is bitter has more body and astringency. Ultimately It is matter of personal taste but the price must correlate with the % of arabica content. Well, it sounds as if you know coffee, Giovanni. As you say though, it’s a question of personal taste at the end of the day and Crema e Gusto fits mine perfectly – as I explain, it’s the only coffee I’ve tried in our stove top moka which produces a taste which is close to that I get Italy’s coffee bars. The best thing for people to do is to try different coffees and that will help them decide which one they like best 🙂 Some people prefer Illy to Lavazza and vice versa – personal taste, but are good everyday coffee brands. I am a Barista and former owner of a Cafeteria . As a customer in another cafeteria when asking for an espresso lungo instead of pulled lungo i get a normale with a small pot of hot water to be added. When i complain they say it is company policy. My question: what is your recommended method of brewing a lungo and if hot water is to be added what is the difference between a lungo and an americano? In which country have you been asking for a lungo? In Italy, the process is the same as for making an espresso, except the cup is left in the coffee machine for a little longer. For a caffe Americano, the process is the same, except a bigger cup is used and the a greater quantity of water is allowed to drip through the coffee into the cup. As you probably know, Italian espresso machines drip water through coffee grounds. The longer the water is allowed to drip, the greater the quantity of coffee is produced. Have never heard of water being added to espresso after it has come out of the machine. Very strange. Alex – Italy resident and regular caffe lungo consumer. Hmmm… Soon I know Americano is prepared by adding hot water to single espresso or should be prepared that way. At least these are Americano roots. In fact or as per urban legend maybe 😉 American soldiers were asking for traditional in America coffee mug prepared presto-presto… thus italian baristas invented that quick method – adding hot water to espresso. Just noticed this post again in the side bar. It got me wondering what inroads the Nespresso phenomenon is making into the market. We use it, as do an increasing number of people we know. We buy our pods in Florence. Every time we go there we have to join a queue and wait up to 15 minutes to pick them up. I guess the purists would reject Nespresso but a lot of people seem to be using it. Funny you should mention Nespresso. Apparently the coffee capsules make very good coffee and Nestle has been pushing their capsules very heavily using George Clooney. Lavazza and Illy haven’t been pushing capsules as hard – but they should so. Owing to the crisis, more and more Italians are resorting to coffee machines to save them having to spend cash in Italy’s coffee bars. That Nespresso is not Italian does not seem to be putting Italians off. Time for Lavazza etc to pay catch-up or lose out. Lavazza Crema e Gusto produces very good results in stove top coffee makers I find, and I think the taste is very close to that of coffee made in Italy’s coffee bars which is why I like it a lot. We rarely have Illy coffee at home – very much a Lavazza house – but I do have Illy coffee when out and about. The flavor is a little different and some Italians do prefer Illy over Lavazza. There are other brands to try. If you haven’t tried it, you might like Segafredo coffee which can be found beyond Italy’s borders. It would be great if you can tell me about Molinari Caffe. Is it one of the best in Italy, top 10? quality,taste, popularity, etc? Molinari Caffe is fairly well known in Italy – not as well known as Lavazza and Illy. Molinari’s 1808 blend is relatively well known. Molinari is a Modena based coffee roaster so it’s probably a common brand in cafes in the city and the area too, probably – but I don’t know. I’d really have to go to Modena to find out. Actually, there are lots of coffee roaster brands in Italy which people outside of Italy know little or nothing about. This is because these coffee roasters more or less exclusively target the Italian market. The brands you find in cafes in Italy are not always the brands you’ll find on the shelves of stores in Italy. The best selling brands of coffee outside of Italy reflect how well certain Italian coffee roasters market themselves at an international level. If you have tried Molinari coffee and like it, then fine. I hope you can find it although I do know it can be found on Amazon. 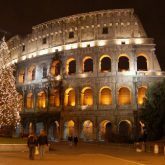 Hi Vasileios – good to hear you like Jacobs coffee but its not coffee produced in Italy which is what this post is all about. hi alex again and thanks for your reply. I would like to correct you, no offense, but JACOBS ARABICA EXCLUSIVA and JACOBS ESPRESSO INTENSO are made in Piemonte, Northern Italy, but they don’t say who’s the manufacturer. Nevertheless, JACOBS filter coffee is not made in Italy, whereas, JACOBS espresso is indeed made in Italy. I would like to start a coffee business here in the U.S. with Italian coffee brands. I have been to Florence and Rome and love every drop of coffee I could get my hands on. I would love to share the experience with my fellow Minnesotan’s that will not have to same opportunities for travels. Any advice will be welcomed. How does SEGAFREDO compare with Illy & Lavazza? I’d personally say that Segafredo is miles better than Lavazza or Illy. Segafredo would have to be my favourite of the chain coffee brands. Hi again Vasileios – no problem re the correction – thanks. I’ve hunted for Jacobs coffee and but can’t understand German. Have you got a link to where it says JACOBS ARABICA EXCLUSIVA and JACOBS ESPRESSO INTENSO are roasted in Piedmont? Where are you from in Italy? By the way, you should check your website – there are some strange links – does not give a good impression to potential distributors. Sort out the problems and I’ll re-add the link to your site. I could write a post about coffee club’s search for distributors which might help. I like Lavazza in cappuccino coffee if the coffee shop knows how to roast a coffee and not burn it!! I am interesting to buy Lavazza coffee crema e gusto, how much price in us.dollars and my address in jakarta, Indonesia. Here in the UK Lavazza and Illy are the only italian coffee brands I can easily find. My vote is for Lavazza Crema e Gusto! Actually, I miss my Nespresso machine….that coffee is amazing (Roma is my favourite!) even if a little expensive. However, a good coffee for me is like home. At the end, like my english collegues say, I’m italian! I’m an Illy fan – however, I haven’t tried the Lavazza Creama e Gusto yet! I’ll look for it next time I’m at the store. Illy is not bad coffee, I will admit, but I do really like Lavazza Crema e Gusto. Try it and let me know what you think. Lavazza gets my vote too!